Home | Fly Tying | Ahrex Hooks | Ahrex Trailer BL 2/0. Strong wire – up eyed hook. Barbless Trailer Hook. 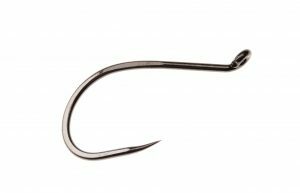 Designed for long winged predator flies where you want an additional hook attached for better hook ups. The PR383 is also perfect for making your own pike rigs for tube flies.